More than 3,000 police personnel and an additional 1,200 traffic policemen have been deployed to ensure that the rally and the PM's speech -- which will be held at the Palace Grounds in the heart of the city -- goes smoothly. More than 3,000 police personnel have been deployed for PM Modi's Bengaluru rally. 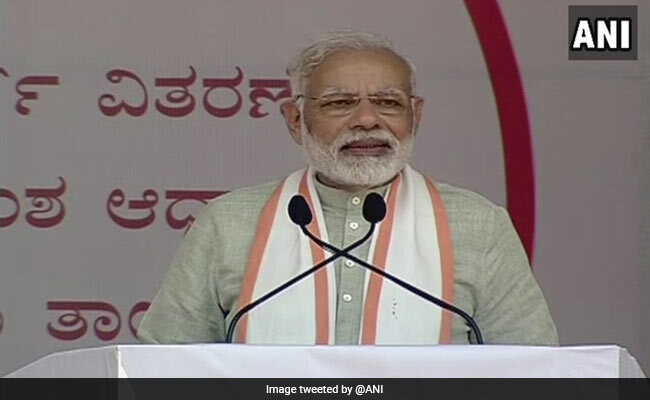 Bengaluru: Prime Minister Narendra Modi will address a rally this afternoon in Bengaluru that will mark the culmination of the BJP's statewide Parivartana Yatra, a call for change held ahead of the coming assembly elections. This would be PM Modi's first big rally this year in the state where assembly elections are expected within months. The party has pulled out all stops to ensure a good attendance -- using online registry and social media to invite prominent citizens. The Congress has dismissed the possibility of the rally influencing the voters. Senior state Congress leader Dinesh Gundu Rao said, "It was more a Yatra of lies and deceit than any parivartana(progress)... they had no agenda or material to attack us. So all they were doing is spreading lies and creating disturbance." Today, Mr Siddaramaiah used the opportunity to draw the PM's attention to the dispute with Goa over sharing of waters of the Mahadayi river, a sensitive issue over which protests and strikes have been held over the last few weeks. Even today, a strike was scheduled to be held in Bengaluru. The BJP had called it an effort to disrupt its rally, especially after another strike called last month had coincided with Amit Shah's rally in Mysuru. Today's strike was called off at the last minute after the Karnataka High Court cited the Supreme Court's ruling that such protests were illegal. The protestors who want the implementation of the Kalasa Banduri irrigation project, however, are observing the day as a black day. They want the Prime Minister to get involved in the issue. This morning, Mr Siddaramaiah tweeted, "I am glad you are making time to visit the country's start-up & innovation hub, Namma Bengaluru today. On behalf of my people, I urge you to find the time for Karnataka's drinking water needs & help us resolve the #Mahadayi dispute". The BJP has alleged that a number of its workers and those of its ideological mentor Rashtriya Swayamsevak Sangh, have been murdered in the run-up the elections, which will be held in April-May. 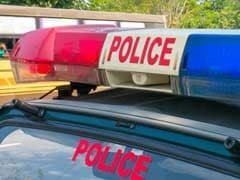 Several of its leaders have accused the Siddaramaiah-led government of failing to maintain law and order. The Chief Minister has dismissed the allegations and his party has accused the BJP of stirring up communal controversies.